sports injury rehab. Musculoskeletal injury rehab. 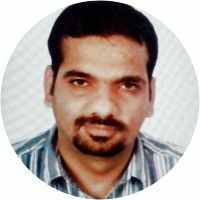 Abhijit singh sayal is an experienced physiotherapist, available for physiotherapy services in , Indore. Abhijit singh sayal is specialized in Sports rehab physiotherapy services and can help with Knee Pain, Neck Pain, Back Pain, Shoulder Pain, Sciatica Pain, Joint Pain, Tennis Elbow, Cervical Pain. Book In-Home PHYSIOTHERAPIST appointment near Now! Physiotherapy is a healing method focused on mobility. Physiotherapists help patients regain mobility, as far as possible. They assess, diagnose and treat disabilities. From back pain, neck pain, knee pain, and ligament issues to Parkinson’s, Paralysis, Cerebral Palsy, and more, our physiotherapists can heal both chronic and acute problems at home. Having to travel all the way to see a physiotherapist can often cause inconvenience to the patient and his or her loved ones. We bring the physiotherapist home which 1) Enables convenience 2) Provides personalized care 3) Brings about a faster healing process With our affordable and accountable service, all you need to worry about now is getting better sooner. What Physical Issues can be Treated by Physiotherapy? Back Pain, Knee Pain, Shoulder Pain, Neck Pain, Sciatica Pain, Cervical Pain, Hand Pain, Muscular dystrophy, sports injuries & more physical issues can be treated using Physiotherapy treatment. Why Portea for Physiotherapy Treatment?